Having been nominated for “Best New Design Blog,” we felt drawn to attend this year’s Design Bloggers conference in Atlanta. Although “The Highboy,” a new blog from Miami, won our category, we were honored to be selected as one of four finalists and sincerely appreciate everyone who voted for LE Journal. Our blog was started as a simple way to communicate our thoughts on design. The conference was a great place to connect with other designers who blog, and we are already looking forward to next year’s event. The speakers were a highlight of the conference. Because of weather, Alexa Hampton was unable to fly out of New York, but skillfully delivered her presentation via FaceTime through television screens. We have enjoyed spending time with Alexa in Highpoint and in Houston when she has been a speaker at our Theta Charity Antique show. 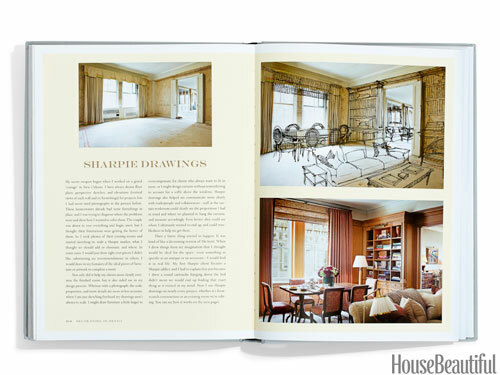 One of the design tactics Alexa is famous for that we have adopted is her “Sharpie drawing.” She takes a photo of a client’s room when it is empty, prints it out, and then sketches the furniture, draperies and accessories directly on the photo with Sharpie. This way, she says, “you can see the soffits, the air returns, and so many things you wouldn’t see by just using a floor plan. It’s a great tool to use with a client because you can really show them what the space will look like.” We use it for projects under construction too; it is a quick and easy way to visualize spaces. Alexa was FaceTiming from her dining room, but was unable to give us a full look at the space as it will soon be featured in the March edition of Architectural Digest. When asked about the space, Alexa said “Dining rooms can be the hardest rooms to decorate because they can look really boring.” For this reason, she believes dining rooms “are the best rooms to go over the top in because you have to make them look good even when they aren’t in use.” We can’t wait to see the full room reveal this month! 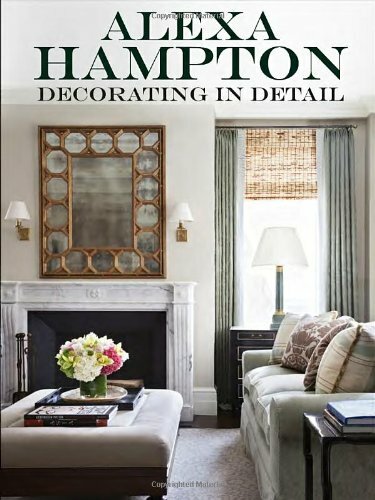 We highly recommend Alexa’s books Decorating in Detail and The Language of Interior Design. Our next Speaker was Nate Berkus who is just as approachable in person as he appears on TV! In 2002, Nate was asked to make-over a small space to be featured on The Oprah Winfrey Show. The segment was immensely popular and launched his very impressive career. He now has his own line of home products, has written two books, had his own talk show, and is currently the Artistic Advisor for the LG Studio line of appliances. Nate believes that the reason he has been able to build successful relationships with his clients is because he “gives them permission to be exactly who they want to be in their homes.” Because, as Nate says, “no matter who you are, no matter where you live, everyone wants to be who they want to be, and I’ve always designed with that principle in mind.” We agree, Nate! Later that afternoon, we had the opportunity to hear the amazing Bunny Williams speak. For twenty-two years, Bunny worked at the legendary firm Parish-Hadley. 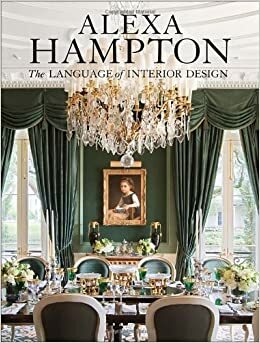 In 1988, she started her own company, Bunny Williams Associates, and her brand has now grown to include an interior design firm, four best-selling books, and Bunny Williams Home, which includes fabric, upholstery, lighting, and more. We are huge fans of Bunny’s work and were delighted to host a dinner party at Sandy’s house in her honor when she was in Houston a little over a year ago. In going through photos of her old homes, Bunny made the keen observation that “when you’re around long enough, everything comes back. So you probably shouldn’t get rid of too much stuff, because it will eventually come back in style.” And it’s true that Bunny practices what she preaches – the décor in her home is completely timeless – most of the rooms haven’t been redecorated or updated in years! The Design Bloggers Conference gets better each year! Congratulation’s on your nomination – you had our vote!!! Thank you, Leslie! We had a blast at the conference as always!